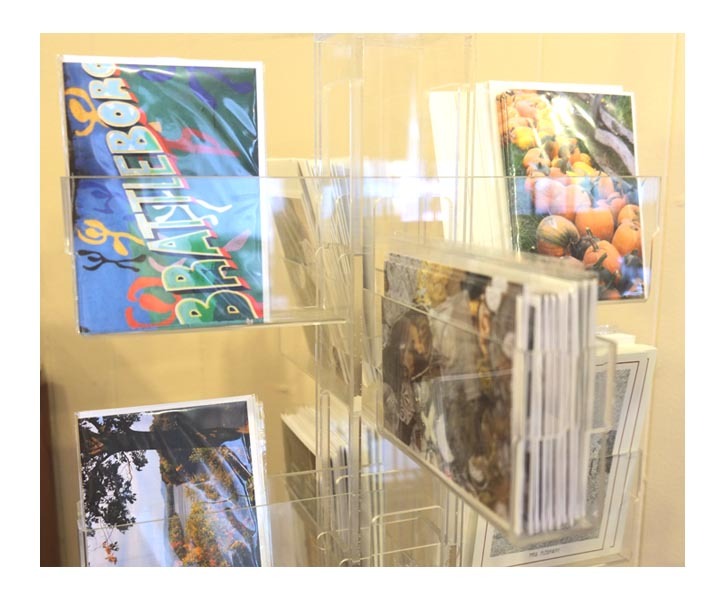 Does your bookstore, card store or gift shop stock a large number of postcards, DVDs, greeting cards, books or other media? Our tastefully designed, sturdy, high-quality counter spinners can help you organize and cleanly display your collection, making it inviting and accessible to your customers — all utilizing a minimal footprint on your counter space. Made in the US out of polished clear acrylic or sustainable birch plywood, most designs are stocked and ready for immediate shipment.